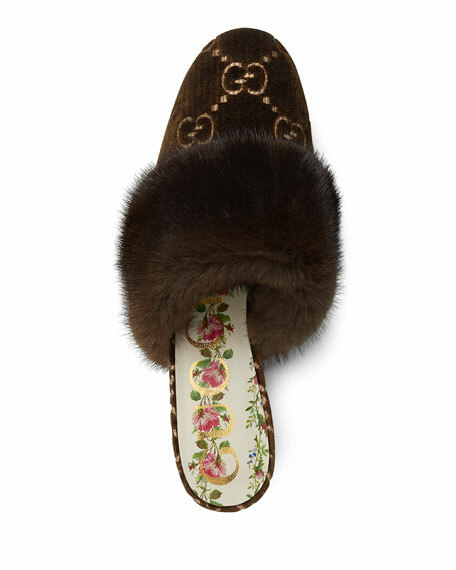 Gucci mule in GG velvet with dyed mink (Finland) fur trim. 1.4" mirrored block heel with crystals. 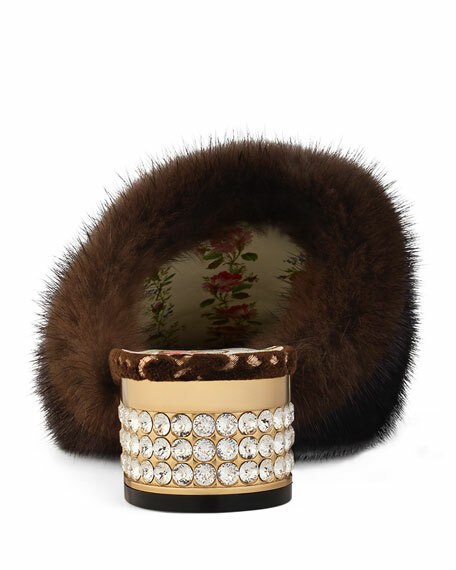 For in-store inquiries, use sku #2324692.